Our Medical Weight Loss program encompasses all aspects of lifelong behavior change. We want you to succeed and will provide you with the tools to do so. It is a proven fact that the best way to improve longevity is calorie restriction. The biggest health problem facing America today is obesity! Adipocytes (fat cells) are known to secrete inflammatory mediators involved in all the previously mentioned disease states and other auto immune diseases and osteoporosis. Adipocytes also produce a significant amount of estrogen, especially in men which increase weight gain. These diseases can be prevented or reversed by weight loss. Medical weight loss is different than the usual “diet”. Dr. Raju will work with each client to custom tailor an individualized program to meet your goals. With our physician guided program, losing two to four pounds per week is possible in the first month. SAFELY! 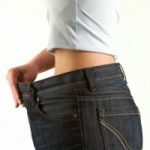 Although weight loss is possible with any program, maintaining the weight is the problem in all diets. Many medical studies have shown that a majority of the people will regain their weight. Even after bariatric surgery (gastric banding and gastric bypass for weight loss), many people will regain their weight in a few years. The only way to maintain a lower weight is through optimizing your metabolism before, during and after your weight loss. We can help you maintain your ideal body weight!